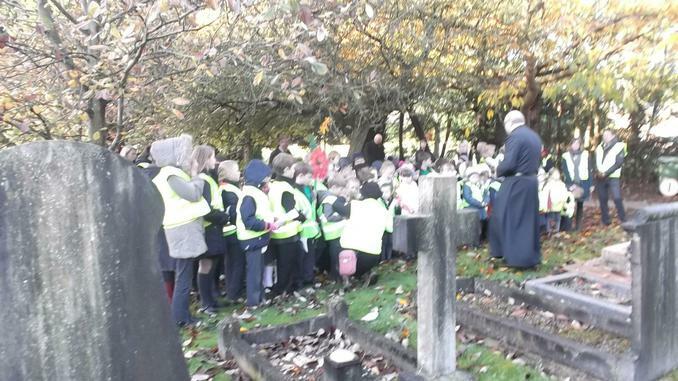 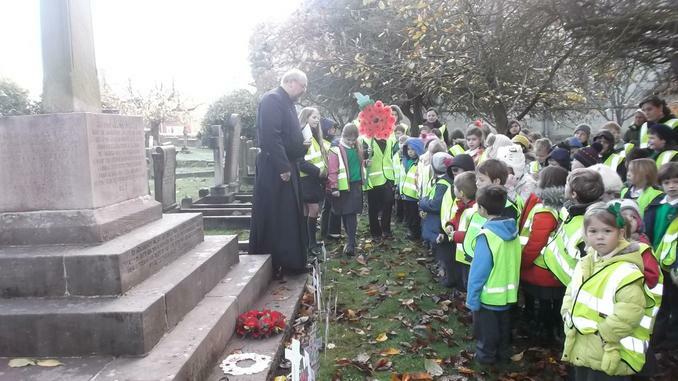 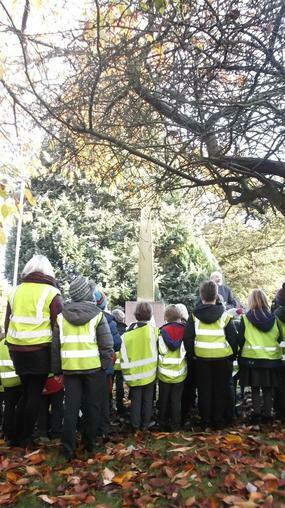 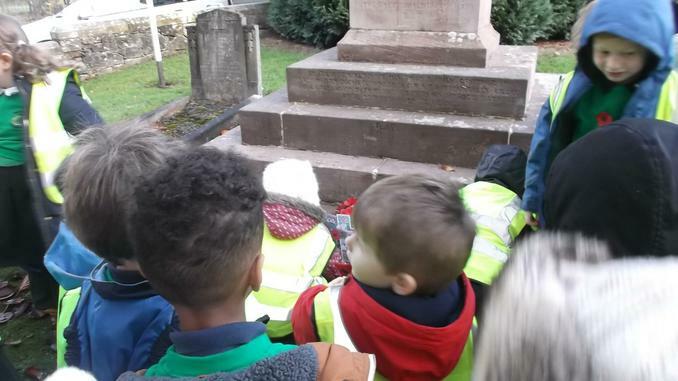 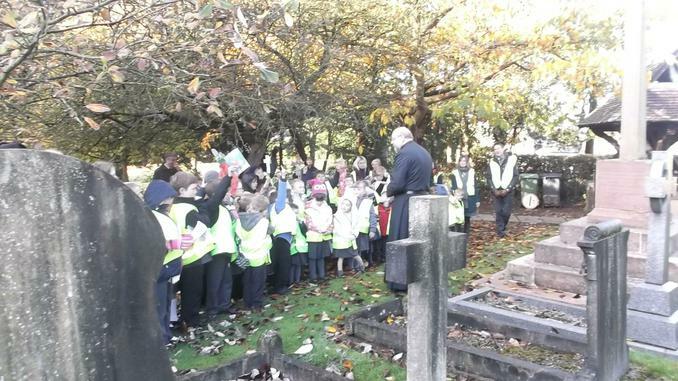 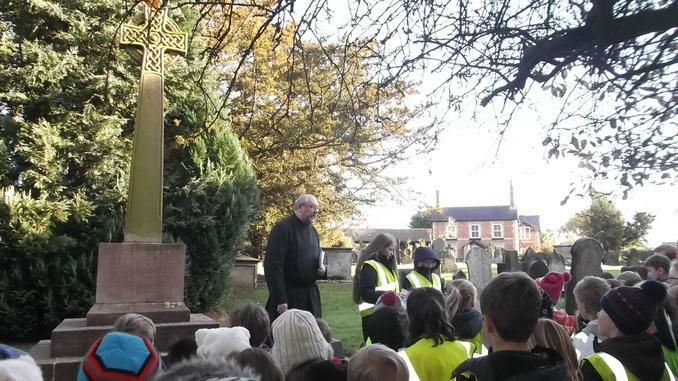 On Friday 11th November we walked over to the War Memorial at church to commemorate Remembrance Day. 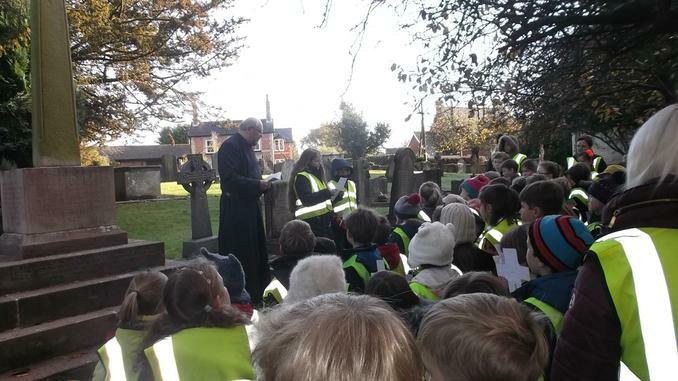 Father Stephen led a short service with some children from class 3 delivering poems and prayers. 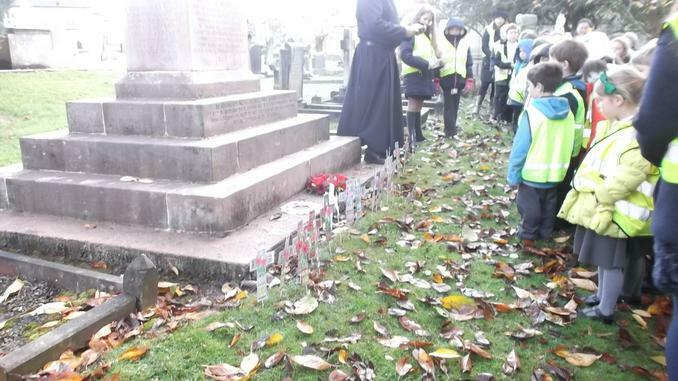 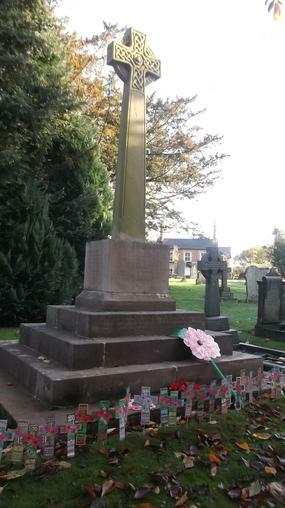 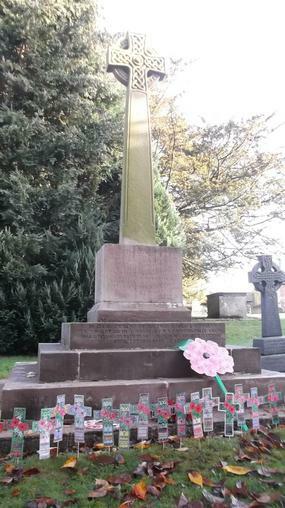 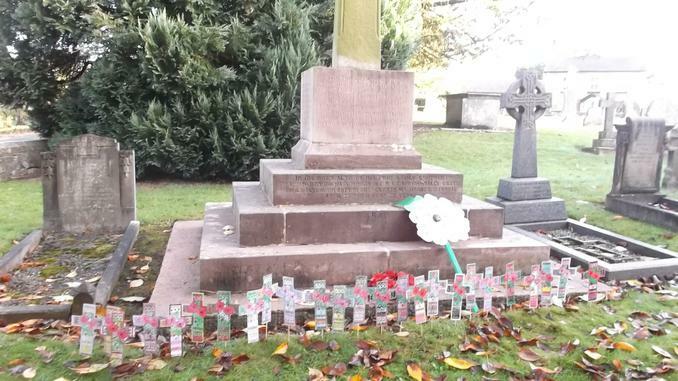 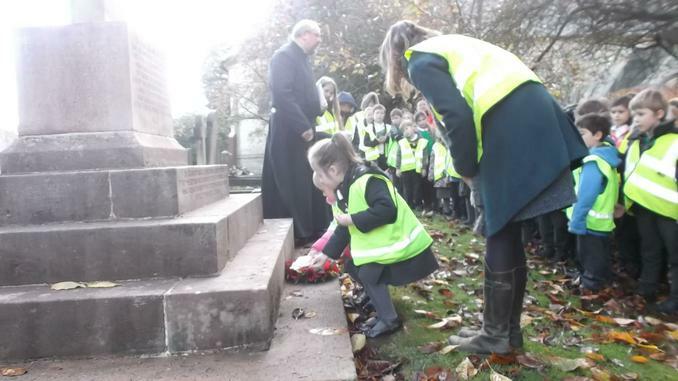 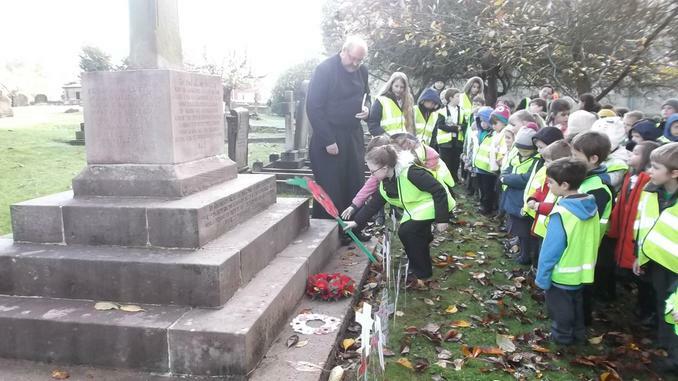 The children laid wreaths and poppies on the War Memorial.